Hello, my name is Brendan McDaid, and I am here to help make you a better golfer. I offer golf lessons and work with golfers of all ages and standards. Whether you are new to the game or an experienced player with a low handicap, I can improve you and help you play more consistently. You can choose from individual lessons for one-to-one tuition, or group lessons where you can learn with others. I also deliver golf clinics on various aspects of the game. Whatever element of golf you want to work on, and however you want to do it, I’m here to help. I have been giving golf lessons since 1984, after I qualified as a PGA Pro European Tour Coach, and I have helped countless golfers in the years since. My students have ranged from absolute beginners to former European Tour players such as Peter Lawrie, with whom I was head coach for several years. This included the period in which he won the Spanish Open (Open de Espinal) in 2008. Brendan has been the best coach ever. I would highly recommend him to anyone from beginners to pros, who are looking to improve their game from driving to putting. As proud as I was of Peter’s successes, I am equally proud of the successes of all my students. This could be adding 20 yards to driving distance; shaving a few strokes off handicaps, or just becoming a more consistent high handicapper. The objective always is to get more enjoyment from the game. Indeed, nothing gives me more pleasure than to hear back from students that they are playing better than ever. Throughout my coaching career, I have tailored my golf lessons to the student’s individual needs and desires. This has been key to success, and it is the approach I continue today. So, I look forward to working with you and finding the method for you to be a better golfer. I enjoyed some successes during my own playing career in my younger days. I also had the privilege of playing professionally on the European Tour in 1989. 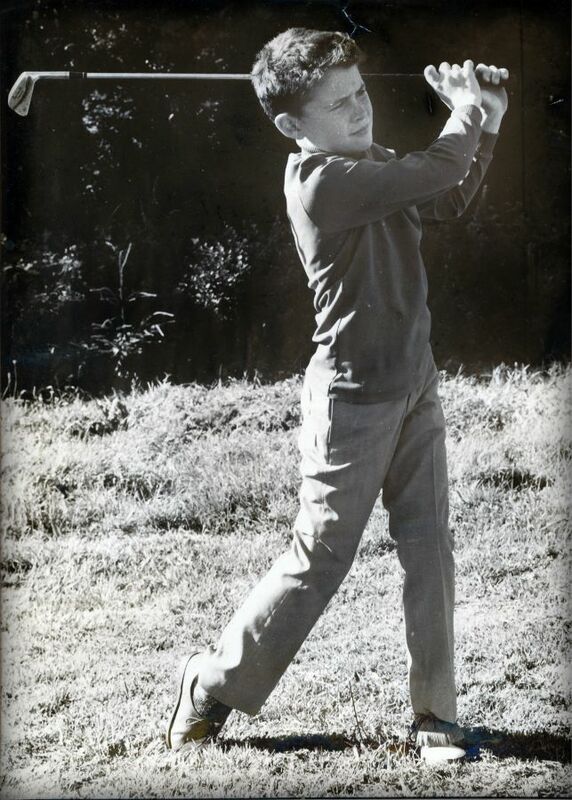 Golf was always a large part of my life, as both my parents were passionate about the game. My father played off a handicap of 6, while my mother represented Munster, Connacht, Ulster, and Ireland in various competitions. My early years in County Donegal saw me swinging a club by the time I was just 18 months old. Then my family moved to Cork while and I continued to play golf in my younger years. Winning the Irish Independent Philishave weekly prize with a score of 44, when aged just 11 years. Becoming the youngest player ever to reach the last 16 of the South of Ireland Championship, in 1976. 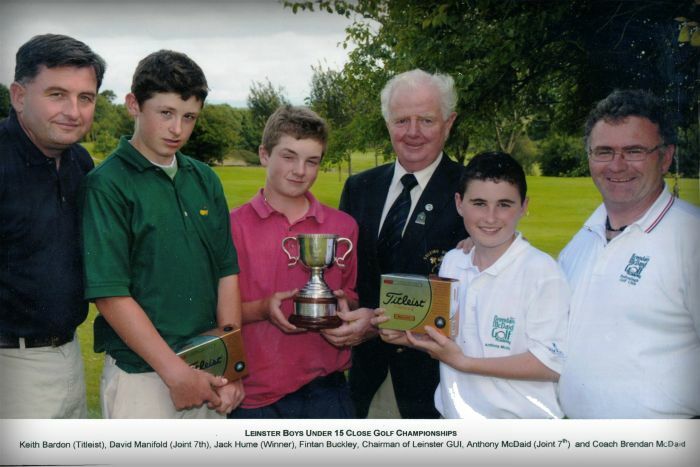 Being the youngest winner ever of the Irish Youths Championship, at the age of 16. Being a member of the first Irish Youths team to play abroad in the Youth Championships, where we claimed victory. Winning the Kerry Boys’ Championship in 1976, 1977, and 1979. Winning the Munster Boys’ Championship in 1978 (beating future European Order of Merit Champion Ronan Rafferty in the final). 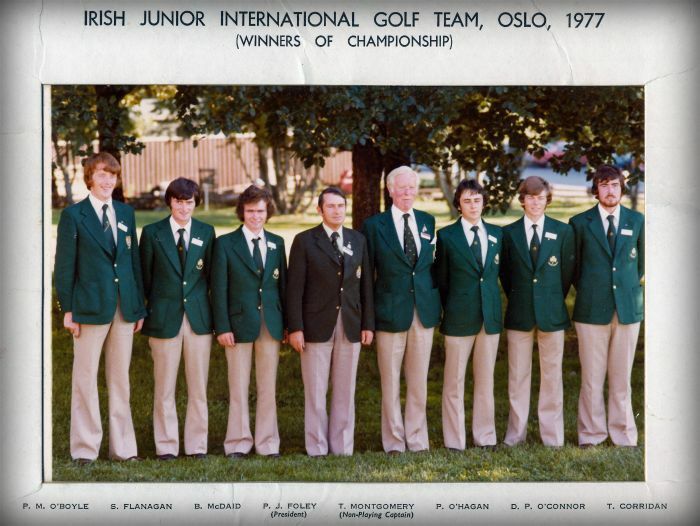 Being a member of my school golf team, which won the Aer Lingus National Championship in 1978 and 1979, and the International Championship in 1979. Being the leading individual in that International Championship in 1979. This meant I qualified for my first European Pro-Am at the age of 18. Winning the Munster Youths Championship in 1980 & 1981. Winning the Aer Lingus Clubs Championship with Castletroy in 1980/’81 and being runner-up in the International Final. Representing Munster on the senior inter-provincial team for four years. Qualifying for and playing on the European Tour in 1989. After leaving the Tour, I began to concentrate on coaching rather than playing competitively. This remains my focus today, though I still of course enjoy playing a round whenever I can. Over the years I have learned many things and I look forward to sharing that knowledge with you, and helping in making you a better golfer.